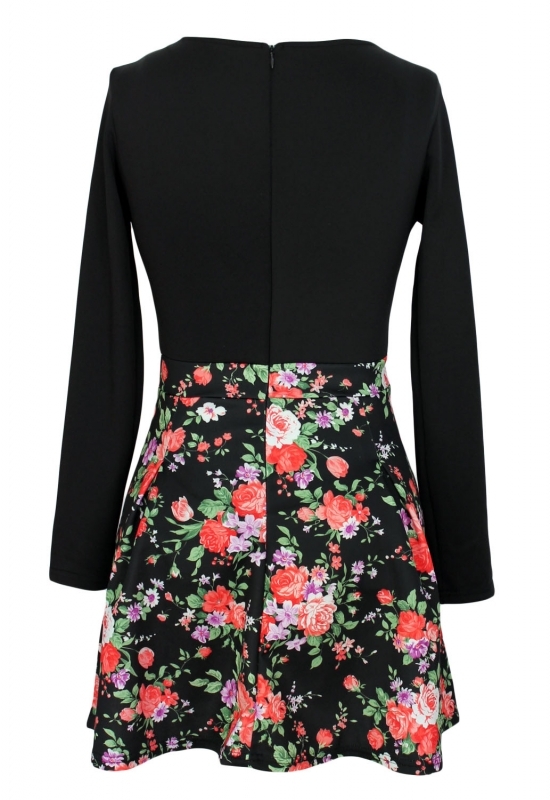 Floral and feminine, Lover-clothes presents the most exquisite fashion adult dress for women worldwide. 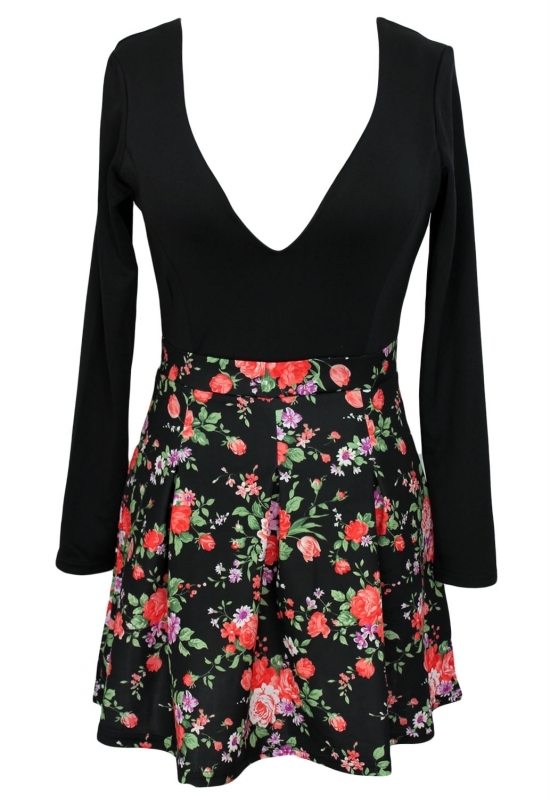 This is a cute skater dress with mellow V plunging neck, solid color fitted bodice with long sleeves atop the floral print flared skirt crafted in one piece. Dress up in this elegant skater dress to show out your elegance and sweetness!